Eric Woomer is a governmental affairs consultant and lobbyist with extensive senior leadership experience advising legislators at the state and national level as well as business interests ranging from Fortune 100 companies to trade associations to family-owned businesses. He is well-regarded for his ability to research, analyze and synthesize issues quickly to design innovative public policy, and he offers his clients tactical political counsel as well as pragmatic solutions to achieve their policy goals. Eric has served as Chief of Staff and Legislative Director to three Texas state senators, both Republicans and Democrats, representing areas as diverse as the Texas Panhandle and the Houston Ship Channel. Eric successfully coordinated the legislative agendas, community activities, and media strategies for the senators, as well as directing personnel activities for staffs as large as twenty-one. Additionally, Eric served as Press Secretary for U.S. Congressman J.J. “Jake” Pickle, and as a Senior Policy Advisor to U.S. Senator Kay Bailey Hutchison. Armed with a proven track record of accomplishment, in 2010, Eric opened Policy Solutions, a full service public affairs consulting practice, based in Austin, Texas. Eric offers his clients legislative tactical guidance and policy expertise on matters related to energy & water, natural resources, health care, economic development policy, and the state budget. These abilities are complimented with media management skills and compelling collateral writing – speeches, legislative hearing testimony, press conferences & communications materials, briefings, newsletters and white papers. As a lobbyist, Eric has provided political and legislative guidance to Texas electricity companies, trade association, advocacy organizations, manufacturing interests, and physician groups, among others. He has managed teams of contract lobbyists, overseen Political Action Committee activities, and coordinated grassroots efforts. Eric is consistently ranked among the state’s most influential lobbyists in Capitol Inside magazine’s annual Lobby Power Rankings. Eric was born in Malawi, Africa, while his parents served in the Peace Corps. A 1988 National Merit Scholar, Eric received a Bachelor of Arts degree in Government from the University of Texas in 1993. In 2002, he obtained his Masters of Public Affairs from the University of Texas’ Lyndon Baines Johnson School of Public Affairs. He also received the LBJ Award for Academic Excellence, presented annually by former First Lady “Lady Bird” Johnson to the school’s top graduates. Eric resides in Austin, Texas with his son, Jackson. 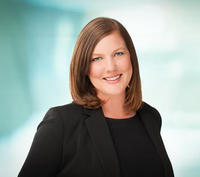 After fifteen years serving the great state of Texas, Courtney Williamson joined Eric Woomer/Policy Solutions as Legislative Director charged with working closely with the Texas Legislature, state leadership, and agencies on policy initiatives and legislative interests for a variety of clients. Courtney brings a wide variety of public policy experience varying from military affairs and health and human services to workforce issues. Courtney has a solid footing on the ability to navigate state government and the legislative process having worked for a number of state agencies as well as for members in the Texas House and Senate. She served seven years at the Texas Workforce Commission where she was the Director of Governmental Relations and worked hand-in-hand with the members of the Legislature from both sides of the aisle on strategic agency initiatives, agency appropriations and legislation. Courtney is known for being responsive and solution oriented, having a watchful eye on the details while being able to see the larger picture, and the ability to work with both sides of the aisle. Courtney holds a master’s degree in public administration from the University of Texas at San Antonio and a bachelor’s degree from St. Edward’s University. Cissy Ellis is a tenured lobbyist with deep roots in the Texas legislative process. Considered a pioneer among women lobbyists, Ellis has served state legislators from around the state, directed the state governmental affairs practice of one of the nation’s largest and most respected law firms, and led her own consulting firm. From 1983 to 2003, Ellis was Director of Governmental Affairs for the law firm of Fulbright & Jaworski, LLP. 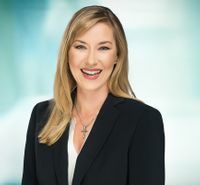 During this time she represented world-wide, national, state and local clients on numerous legislative and regulatory matters. 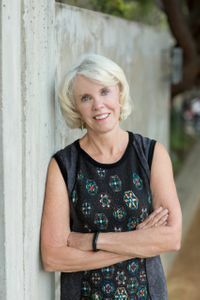 Her clients included Siemens, Carrier Corporation, Pulse Network, BFI, and the Texas Wine Association, as well as local governments, land developers, and hospitals throughout the state. 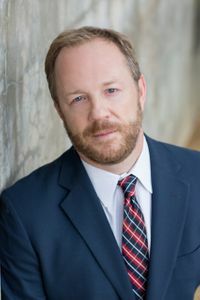 Prior to joining Eric Woomer / Policy Solutions, Ellis had been the president of Cissy Ellis Consulting, Inc., which provided legislative and administrative representation in Texas to various clients, including Kraft Foods, Hooters/Texas Wings, Inc., TXU, Baylor College of Medicine, Advanced Practice Nurses of Texas, Texas Physical Therapy Association, Centex Cement, and AT&T. In addition, Ellis served as Legislative Director for ten years for three State Representatives who represented different parts of the state, including Travis County, Deep East Texas and West Texas. Our team is assisted in all efforts by our office administrator, Katy Cramer. A veteran of multiple legislative sessions, Cramer seamlessly coordinates the activities of the members of the firm and serves as an additional point of contact for clients. Cramer has demonstrated herself to be a resourceful and accomplished individual with tier-one customer-care skills as well as exceptional clerical expertise, and offers exceptionally effective administrative support.